Planning to take a debt consolidation loan? How can it help you? Some people find it really challenging when it comes to repaying the debt consolidation loan. Basically, debt consolidation loan is taken to compile all the small debts into one single loan. Reasons for unexpected expenses, medical bills, etc. are some of the reasons why people fail to meet their debt consolidation loan on time. Defaulting debt consolidation loan can prove to be highly damaging to your finances. Several actions can be taken to avoid court proceedings due to nonpayment of the loan amount on time. What are the consequences of non-repayment of debt consideration loan? Making late payment of debt consolidation loan loan will lead to negative consequences. It will not only lead to the addition of late fee but also the rate of interest on the loan amount will increase as well. This will directly increase the monthly installment amount. One single late payment can increase your monthly payments so much that borrowers find it extremely difficult to cope up with it sometimes. The very first action that you need to do is to get in touch with your lender if you find it difficult to make the payment on time. You need to contact them before the due date of the payment arrives. This may help you to get a grace period, or they may even work with you in order to waive the late fine. At times, they don’t want to make any considerations, but there is nothing harm in giving a try. Before you go for debt consolidation loan, you need to think whether you will able to meet their criteria. Basically, the criteria differ from one lender to another, but there are some common factors which remain the same. If your reason for late payment is considerable, then you may get a grace period of 15 or 30 days according to the choice of the lender. But there is nothing to get surprised if you don’t get any grace period. But always remember that if you go two months without making any payment, then you will have to pay an additional charge along with a higher rate of interest. And if you go on without making payments for 90 days, then officially your account will be in default category, and you will start getting phone calls and emails from the lender. What can you expect when your account gets in collections? If you do not contact your lender or pay the repayment amount for more than 4 months, then it is possible that the lender will hand over your account to the collection agency or department who will use their own set of strategies to retrieve the due amount. Once your account is sent to the collections department, you will start getting several calls throughout the day. Even after that if you do not go ahead and find a solution with them or start with the repayment, the account will be further handed over to the collections lawyer. Even if the loan is default still keep on making payments as much as you can afford. If the lender finds that you are making some payment, then he may work with you and protect your account from being declared ‘default’ officially. Always remember if you have to visit the court due to non-repayment of the loan amount, then you will have to pay both the loan amount as well as the associated court charges. Even the court can put a lien on your property, which means you will be responsible for all the debt if you put your house on sale. They may even put a 24% charge on your wages. So if you think that you will not be able to pay the loan installment, then immediately contact the lender without any delay. Even due to any reason if your account is handed over to the collections agency, still you can manage to negotiate with them and create a new payment plan which is feasible to you. Although paying interest on the consolidation loan amount is quite significant, but it is still cheaper as compared to the cost of court charges as well as other additional costs. If you are doing a single job now, then it is better if you can increase your income by joining a second job. There are endless opportunities available today for a part-time job or any kind of freelance work which will help you to get extra money in hand at the end of the month. This is not at all difficult, and there are several people who are working in more than one organization to make extra income at the end of the month. 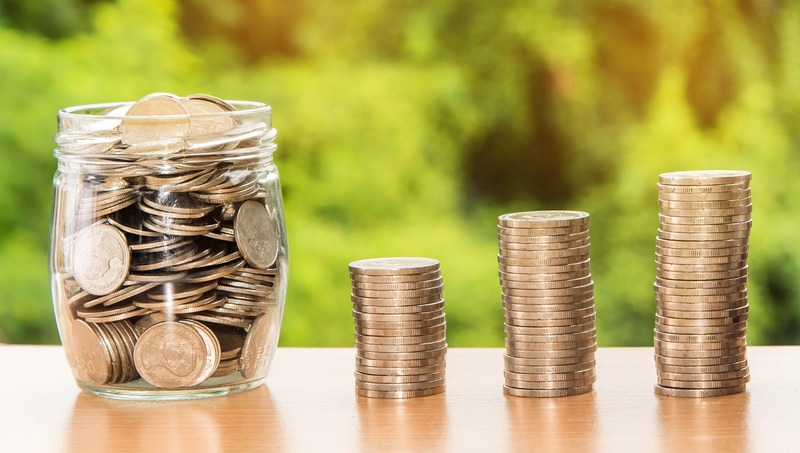 At the same time, you also need to keep a check on your expenses because if you cut down the leisure expenses, then it is quite possible that you will end up saving a few bucks. And when you are declaring that you are not in a position to pay the debt loan, then it is necessary that you stay in such a way that will ensure the lender that you are really not in a position for repayment. It is always better that you cut down the unnecessary expenses and uses the extra money for paying off the depth amount. This is known for being the last stage, and it should be considered only if there is no other chance to save yourself from the debts. Although there are several advantages of filing bankruptcy still there is a significant damaging effect that can take place on your credit score. Moreover, it is a matter of public record which can even create issues on the basis of your occupation. It is quite understandable that you may not feel great after filing the bankruptcy report, but there is no reason to feel embarrassed. This is the only way you can revive your present financial situation. If you find that your debt consolidation loan is the default, then you can go for a debt settlement organization that can help you to revive the financial issues. Several nonprofit organizations are working in the market that can provide you with credit counseling as well as debt management services at free of cost. They can even assist you to ensure that you don’t have to visit the court for non-repayment of the consolidation loan. They can negotiate on your behalf with the debt consolidation company and reach a settlement. Some nonprofit organizations also charge a negotiation fee, but it is quite negligible. Nationaldebtrelief.com can help you to settle down your consolidation loans easily and quickly. There are no negative consequences for approaching a depth settlement company, and it is quite better than filing for bankruptcy as it will not lead to any lasting effect on the credit score.